Normal Transfers i.e. when you have sold or bought a property. There are no upfront costs whatsoever! We undertake your investigation at our risk, once we have reduced your municipal debt our fees will be recovered as a fraction of the saving. Each municipality have different levels of efficiency. On average, it ranges from 7 – 14 working days. No. Your transferring attorney is mandated to obtain clearance figures. We must be given valid clearance figures. Once we have completed our audit and investigation, and finalized your matter, we will send you a full breakdown of the reduced amounts, payable to the municipality. After the respective payments are effected, we will obtain the clearance certificate for you to collect from our offices, so that your transferring attorney can now lodge and register the property in the deeds office. This is a very misunderstood concept. If you only pay for the last 2 years debt, you will be able to obtain a Clearance Certificate. HOWEVER, this does not mean that you are exempt from the HISTORICAL DEBT. The Supreme Court of Appeal (SCA) has declared that if all debts are not properly settled, whoever is the new owner, may become liable… Please click here to read more on the SCA judgement. For this reason, our services are more imperative than ever before. We will ensure that all your debts on your property (for a Clearance Certificate and Historical Debt) are properly investigated, audited, reduced and settled accordingly. NO MATTER WHO YOU ARE ! If you know someone that is selling their property and they have high clearance figures / municipal debt, simply introduce them to our company... Just ask them to put your details down on our documents where we ask a person "who referred you" . When the transaction is successfully concluded we will communicate with you and EFT your commission to your chosen bank account... Everyone wins! Please remember this offer is open to anyone. All we ask is you explain to the person our basic service and how we can help and get them to contact us. We will do the rest! Yes. Once we have completed our audit and investigation, and finalized your matter, we will send you a full breakdown of the reduced amounts, payable to the municipality. After the respective payments are effected, we will obtain the clearance certificate for you to collect from our offices, so that your transferring attorney can now lodge and register the property in the deeds office. Yes. It is absolutely imperative that you attend the municipality and advise them that the property has been registered into the new owners name. The transferring attorney normally prepares all of the various documentation (eg confirmation of registration, deeds search etc) for you to hand deliver to the municipality. If you are the seller of the property, insist that the municipality does a final reading on your water and electricity meters. This is to ensure that if the purchaser moves into your property, the purchaser does not run up your bill when the new owner SHOULD be paying for services. If you are the new buyer/purchaser it is imperative that you attend the municipality and comply with the municipality’s requirements by opening a new Consumers Agreement. If the new owner does not do this, you will be at great risk of having the water and electricity terminated, due to you running up arrears in the previous owners name. If the above does not happen, this usually resolves in a huge dispute between all parties. The above must be done to avoid disputes. an official inspection of an organization's accounts, typically by an independent body/ conduct an official financial inspection of (a company or its accounts). An establishment authorized by a government to accept deposits, pay interest, clear checks, make loans, act as an intermediary in financial transactions, and provide other financial services to its customers. In simple terms loan the funds necessary to purchase a property. is a short-term loan that is used until a person or company secures permanent financing or removes an existing obligation. This type of financing allows the user to meet current obligations by providing immediate cash flow. City of Johannesburg Metropolitan Municipality is located in the Gauteng province. Johannesburg is the most advanced commercial city in Africa and the engine room of the South African and regional economy. It is a city with a unique, African character, world-class infrastructure in the fields of telecommunications, transportation, water and power, and with globally-competitive health care and educational facilities. However, the city is also one of contrasts – home to both wealthy and poor, residents and refugees, global corporations and emerging enterprises. The demographics of Johannesburg indicate a large and ethnically diverse metropolitan area. As the largest city in South Africa, its population is defined by a long history of local and international migration. Johannesburg is home to more than 4,4 million people, accounting for about 36% of Gauteng's population and 8% of the national population. Over the last decade the city has been growing. A key contributor to this is that the city continues to attract people from other provinces, and internationally, who are looking for better economic opportunities and quality of life. The population pyramid indicates that the city’s population is predominantly young. This can be attributed to migration from other parts of the country as young people look for jobs. Johannesburg is considered the economic hub of South Africa and is often the first choice of destination by job seekers across the country. City of Tshwane Metropolitan Municipality is situated in the Gauteng province and Pretoria is the capital of South Africa. It has merged with the Metsweding District, which was a consequence of the Gauteng Global City Region Strategy to reduce the number of municipalities in Gauteng to at least four by 2016. The new City of Tshwane is now the single-largest metropolitan municipality in the country, comprising seven regions, 105 wards and 210 councillors. Pretoria has the second-largest number of embassies in the world after Washington DC. Many embassies thus call this city their home. The Union Buildings house the administrative hub of the country and have also been the setting for the presidential inaugurations of Nelson Mandela, Thabo Mbeki and the incumbent South African president, Jacob Zuma. These sandstone buildings offer beautiful views over the City. Its rich and colourful heritage is reflected in the City's myriad of museums, monuments and historical buildings, and is punctuated by contemporary arts and crafts markets, bringing the City alive with a unique blend of new and old. The Science and Technology Museum offers a tactile experience of science at work. The South African mint has a minting press dating back to 1892 that is still in operation. The City also offers township sleepovers with a five-star stay. Church Square and the State Theatre often host international and national performances. There are also two nature reserves where visitors can view wildlife such as buffalo, antelope, cheetah, jackal, giraffe and sable. means the Constitution of the Republic of South Africa, 1996 (Act No. 108 of 1996); (vi). For our country’s transition from apartheid rule to democracy, an interim constitution was negotiated between representatives of organisations involved in the liberation struggle, represented political parties and other interest groups. After the first democratic elections on 27 April 1994, members of the National Assembly and Senate, as the elected public representatives at the time, met as a body called the Constitutional Assembly to write a new Constitution. In 1996, after two years of public consultation and much debate, the new Constitution was finally adopted. Our Constitution lays the foundation for an open society based on democratic values, social justice and fundamental human rights and is hailed worldwide as very progressive. It is the supreme law of our country and ensures government by the people under the Constitution. In other words, the Constitution is the highest law of the land and everyone must act according to its provisions and principles, even Parliament. Because we are a constitutional state, all laws made by Parliament must pass the test of constitutionality. So Parliament has to ensure at all times that the laws it makes are in keeping with the letter and spirit of the Constitution. The Constitution is a law agreed by the people’s representatives that sets out how the state will be constituted and run, our rights and responsibilities as citizens and the creation of particular institutions to support and safeguard our democracy. Our Constitution contains an important democratic principle called the separation of powers. That means that the power of the state is divided between three different but interdependent components or arms, namely the executive (Cabinet), the legislature (Parliament) and the judiciary (Courts of law). The President is the head of state and of the national executive. He exercises executive authority together with other members of the Cabinet, namely the Deputy President and Ministers. The executive develops policy, for example by preparing and initiating legislation which it submits to Parliament for approval. It then implements that policy by running the administration of the country by means of the different government departments. The executive must account for its actions and policies to Parliament. The national legislature or Parliament consists of two Houses, the National Assembly and National Council of Provinces, whose members are elected by the people of South Africa. Each House has its own distinct functions and powers, as set out in the Constitution. The National Assembly is responsible for choosing the President, passing laws, ensuring that the members of the executive perform their work properly and providing a forum where the representatives of the people can publicly debate issues. The National Council of Provinces is also involved in the law-making process and provides a forum for debate on issues affecting the provinces. Its main focus is ensuring that provincial interests are taken into account in the national sphere of government. In specific cases, local government representatives also participate in debates in the National Council of Provinces. The judiciary is made up of the courts, such as the Constitutional Court, the Supreme Court of Appeal, High Courts, Magistrates’ Courts and other courts established or recognised through an Act of Parliament. The head of the Constitutional Court is also the Chief Justice of South Africa. The Constitution states that the courts must be independent and act impartially. Organs of state such as Parliament and the executive must assist and protect the courts in order to ensure their independence, impartiality, dignity, accessibility and effectiveness. Before its transition to a democratic, constitutional state, South Africa was known as a country in which the rights and freedoms of the majority of people were denied. To prevent this from ever happening again, our Constitution contains a Bill of Rights which can only be changed if two thirds of the members of the National Assembly and six of the nine provinces in the National Council of Provinces agree to such a change. The rights in the Bill of Rights form the cornerstone of our democracy. An obligation is also placed on the state to respect, protect, promote and fulfil these rights. Some of the rights enshrined in the Bill of Rights are the right to life, equality, human dignity, freedom of expression, freedom of religion, freedom of association, political rights and the right to peaceful assembly and demonstration. These are normal rights that are guaranteed in most democratic countries because they ensure democracy and freedom. The Bill of Rights also contains socio economic rights. In South Africa, where a large part of the struggle for freedom was about improving the lives of people, these rights are important. They place a duty on the government to address the problems that people experience when it comes to education, health services, water and housing. The last group of rights included in the Bill of Rights is often the reason our Constitution is described as very modern and advanced. These rights include the right to the environment being protected, even for future generations, the right of access to information and the right to fair administrative action. The citizens of South Africa are even guaranteed the right to an efficient administration. the highest in South Africa on constitutional matters. The Constitutional Court only makes decisions about issues that have to do with the Constitution. It is also the highest court in the land since its decisions cannot be changed by any other court. is the legal term for the process whereby a person, company, close corporation or trust becomes the registered and legal owner of immovable property and ensures that this ownership cannot be challenged. This covers the process of the registration of mortgages of bond holders. After an agreement of sale has been signed by the parties, a conveyancer/transferring attorney is appointed (usually by the seller, although the buyer will pay the fees, this is set out in the contract/agreement) and instructions are usually sent to him/her by the estate agent. These include the names of both the buyer and the seller, a copy of the agreement of sale, and the ID numbers and marital status of the parties. means of Council of Municipality. of South Africa is a superior court of law in South Africa. The High Court of South Africa is a superior court of law in South Africa. At present it is divided into seven provincial divisions, some of which sit in more than one location. Two further divisions are in the process of being established. Each High Court division has general jurisdiction over a defined geographical area in which it is situated, and the decisions of a division are binding on magistrates' courts within its area of jurisdiction. a decision of a law court or judge. The decision of an issue, or issues in dispute, by a court of law after the evidence has been put to it by the litigants, and setting out the determination of their respective claims and resulting rights and thus concluding the litigation. considered collectively / the process of making or enacting laws. a sum of money that is owed or due for any and/or all of the following, Rates, Taxes, Sewerage Water, Electricity, Interest, Basic Charges, Refuse, Sundries, Notices, Deposit, Hand-overs, Solid waste, Cleaning, Final Demands, Arrangements, Legal actions, i.e. any charge levied on the property . a person who buys something; a buyer. means a municipal rate on property as envisaged in section 229 of the Constitution of the Republic of South Africa. MUNICIPALITIES are expected to be self-funding and municipal revenue is raised from three main sources: electricity and water provision, and property rates. This income is used to pay for a wide range of public services, from the maintenance of roads and traffic control, to providing public parks, libraries, clinics, recreation centres and other similar services for the public. All property owners – both those who own freehold properties and Sectional Title holders – must pay rates. They are a City tax based on the market value of properties, which are recorded in the General Valuation Roll. This is outlined in the City’s Rates Policy, which is based on the Municipal Property Rates Act (MPRA). Each year, during its budget process, the City determines the rates tariffs for the new financial year. This is called the rate in the Rand. It makes no major loss or surplus out of rates income; the various rates in the Rand only cover the likely costs of providing public services. is an appellate court in South Africa. It is located in Bloemfontein. The Supreme Court of Appeal is, except in respect of certain labour and competition matters, the second highest court in South Africa. Previously it and the Constitutional Court were both ‘apex courts’ with different areas of jurisdiction. However, since August 2013 the Constitutional Court has been the highest court in all matters. 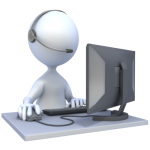 HAVE YOU HEARD OF OUR FREE RATES HELP DESK WHERE WE WILL ANALYSE YOUR CLEARANCE FIGURES FREE OF CHARGE?! Please subscribe to our newsletter today!